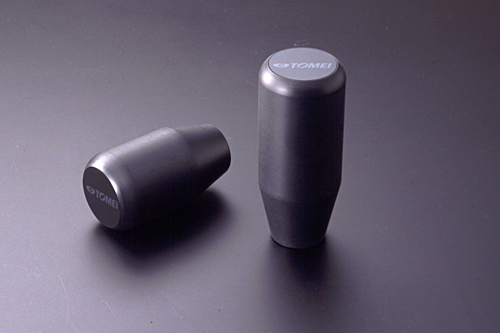 About Tomei USA products.Notice: About Tomei USA products. Thank you for supporting Tomei Powered Inc. 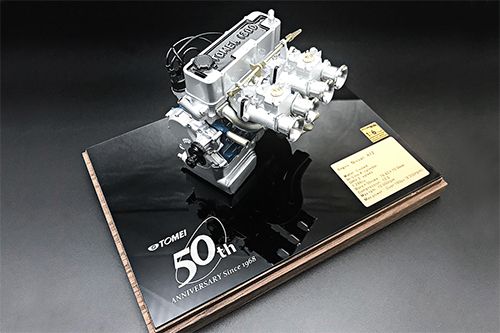 Following announcement from Tomei Powered USA “TOMEI technological evolution with Real Speed Engineering”, This statement only indicates between Tomei USA and RealSpeed Engineering. We at Tomei Powered Inc is no responsible or any relation this announcement. However, Tomei Powered Inc and Tomei Powered USA are separate corporation by 28th of February 2014. Please note reference the follow Tomei Powered Inc. has never authorized such as Tomei Powered USA or Real Speed Engineering to manufacture or development of any products to be sold as “Tomei Powered” Brand. We are no responsible any damage or lost which items sold by Tomei Powered USA or Real Speed Engineering. Tomei Powered Inc. will be closed during Japan’s National Winter Holidays from Sunday 30th December through Sunday 6th January. We will be back in normal business operation from Monday 7th. 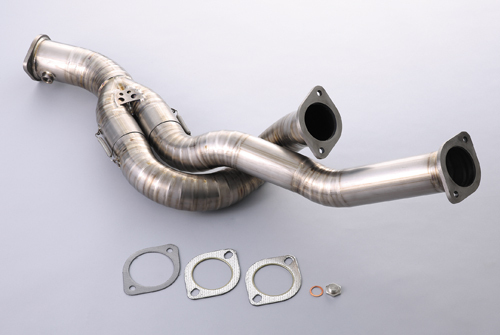 We release the TITANIUM FRONT PIPE for RB26DETT. This Front pipe is High quality, high strength titanium material allows not just the thinnest wall structure and amazing weight reduction but also great durability at the same time. We have attached our new price list for your review – which goes into effect on January 1, 2019. 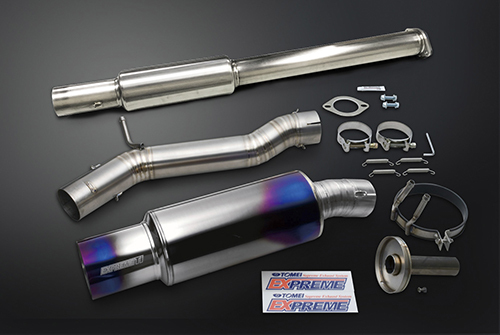 EXPREME Ti TITANIUM MUFFLER for Evo.10 has been renewed to a sub silencer type. 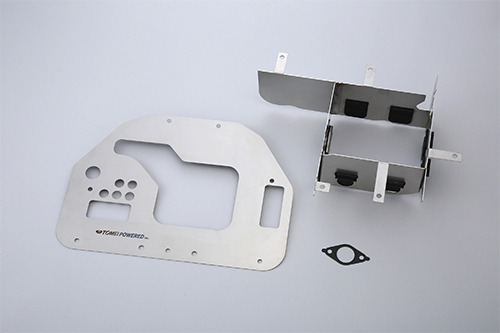 We release the Oil Pan Baffle Plate for 2JZ-GTE. The TOMEI baffle plate is designed to prevent this problem from happening especially when the car is used for competition use.